Turkey has always been a country popular amongst tourists—it is steeped in history and tradition, is hugely diverse and has a culture that isn’t matched by any other country. Although the country has undergone tumultuous times recently, largely due to its location in the Middle East, it is still a safe and popular tourist destination and it’s a place everybody should visit at least once. Its dramatic landscapes, interesting people, tasty cuisine and artistic history make Turkey a great all-round destination for somebody who wants an adventure. With all that being said, there are a few things you should know prior to jetting off from Australia and starting your holiday or visit. This is the first thing you need to know and prepare for - Turkish authorities require people visiting from many foreign countries to apply for a visa prior to entering. 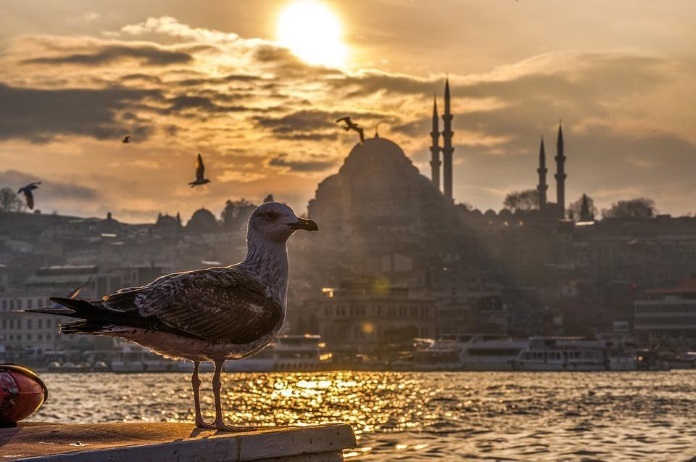 There are lots of places you can get a Turkey Visa for Australian Citizens, and you will need at least six months’ worth left on your passport in-order to get one. If you don’t have a visa, or your passport is close to expiring, you will be refused entry to Turkey at the border. Visa length depends on individual circumstances, too, and they can take a few weeks to obtain. Turkey does not have the best coverage, especially in rural areas, when it comes to card use and contactless payments, so you will need to carry enough cash. You should also carry foreign cash such as the Euro or U.S. Dollar which provide the best exchange rates and can be used to pay for goods and services in some places. Always carry small denominations of different currencies and don’t rely too heavily on your debit card as not all ATMs will accept the same cards. If you’ve got a major credit card, however, you are unlikely to have a problem. The Turks are very friendly and humble people who are always willing to help and are very interested in tourists who visit their country. That being said, however, despite being close to Europe, Turkey is still quite conservative, and it is always good to err on the side of caution when it comes to your behaviour - the more modest you act, the better. For instance, you should be aware of the fact that there is a widespread clothing etiquette that covers the entire country. Whilst you will be able to get away with dressing like a “western” person in the more touristy areas, you should always cover up when travelling to the more rural areas. By dressing properly, you will avoid any unwanted attention. What’s okay at home is not necessarily okay in Turkey and you should be sensitive when it comes to tradition and expectations. This is especially important if you’re intending to visit one of the country’s mosque. There, you will be required to completely cover your head, shoulders and knees. But that’s a trade off you have to make if you want to witness the treasures of architecture that are Turkish mosques. You will also be asked to remove your shoes, but if you’re worried about walking barefoot, there’s no need to be, since floors are usually carpeted. The Turkish people are hospitable to a fault and if you spend any time in the country and socialize with the locals, you will probably get invited either for tea or for a full meal at some point. So, make sure that you learn some etiquette rules before you go so you don’t end up inadvertently offending one of your hosts once you’re there. Whatever you do, make sure that you come bearing gifts and a good appetite. Turkish meals are a full course affair and the host will make sure that each and every person is well fed. If you don’t know what to offer, pastries from a local bakery will always be a winner. No need to be too ostentatious. Also, you have to be aware that shoes are also forbidden inside houses, so be prepared for that. Your host will usually give you a pair of slippers to wear once you get there. Also, it is also common for female guests to help with the meal, so don't be afraid to join in if you feel like it. They will see it as a sign of appreciation and this will give you a chance to learn more about the country’s cuisine and culture. Turkey is a beautiful country that has something to offer every traveller. By being aware of a few key points before you head out there, you will avoid a lot of stress.